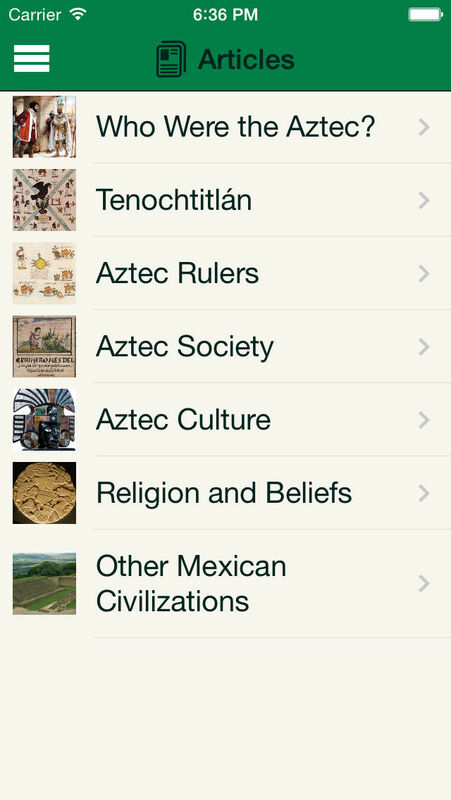 Britannica Kids: Aztec Empire app helps the kids to get to know a past civilization, some of Mexico’s history and basics of the history of the Aztec people. Britannica Kids: Aztec Empire opens a window on the history of the Aztec people, from their agrarian roots to their downfall at the hands of the Spanish. There are articles about many aspects of the Aztec life, culture, and history. There were some phrases that you could click on to see the word defined. Which makes the app more it accessible for younger audiences. The articles do not shy away from death, destruction, and sacrifice which is all part of Aztec more. There was a separate section for the Aztec Gods. The description include art found on buildings, pottery, or elsewhere that represent each of the God. The pronunciation guide or embedded audio file would have been nice; I've no idea how to string together the long combinations of letters that meet up the companies. Map – With this amazing tool you can locate where you are anywhere in the world. Want to see the where the Aztec ruins are? It’s easy with our map tool, and you can use the zoom feature to see the location up close. 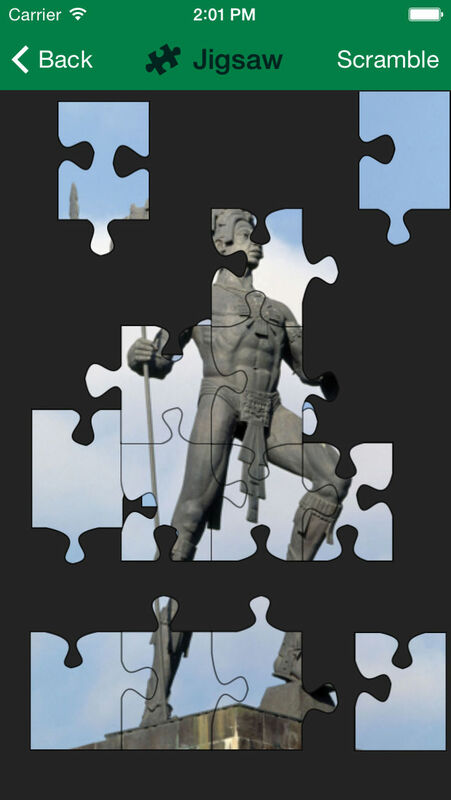 Jigsaw Puzzles, created from beautiful images of Aztec artefacts. Break apart the puzzle and have some fun by shaking your device (iPod and iPhone) and then sliding the pieces back into place to complete the puzzle - it’s not as easy as it looks! 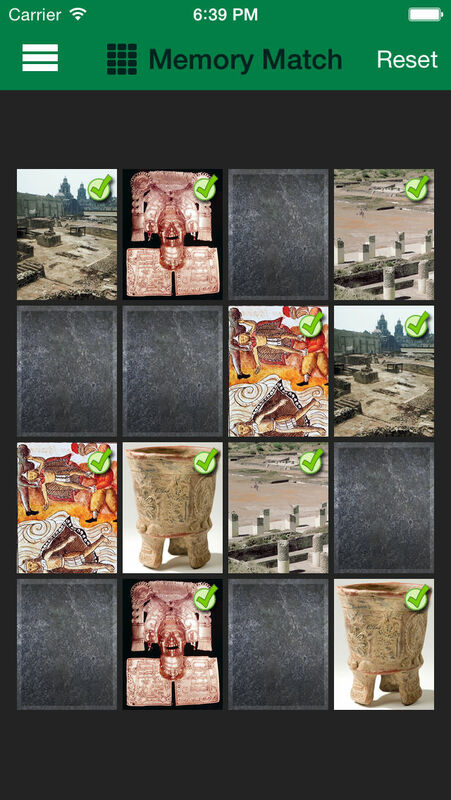 Scramble images of Aztec art in The Magic Square game by shaking your device. Challenge yourself by re-arranging the squares to unscramble the image. 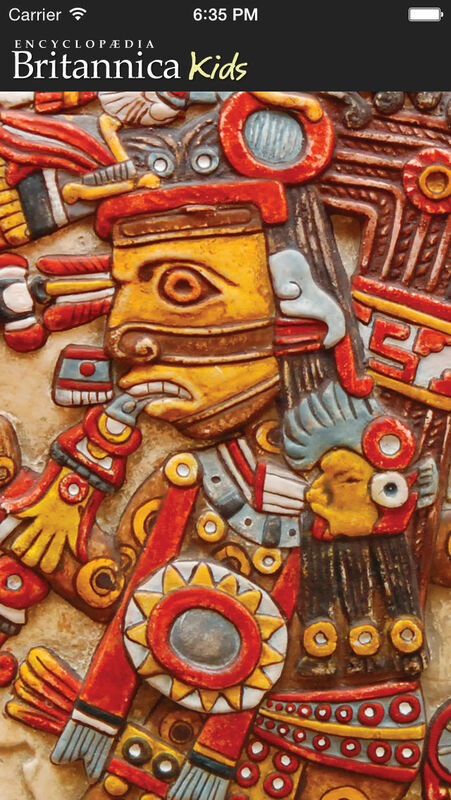 Brush off - brush the layers to reveal images of Aztec objects and then try to guess what they are – how many can you answer correctly? 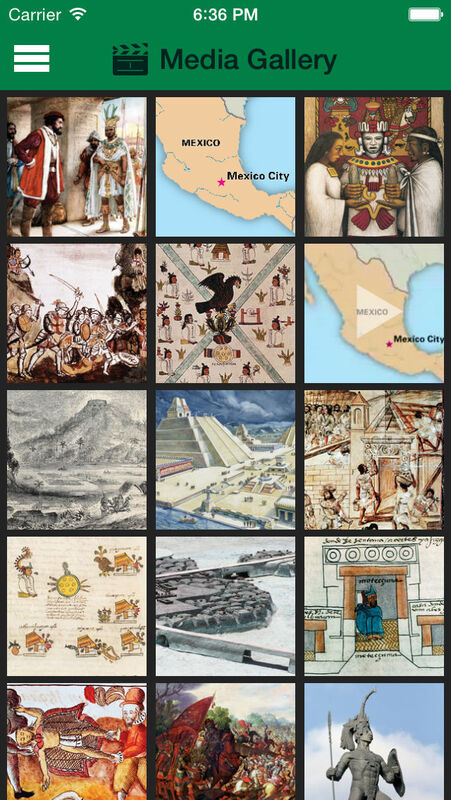 Test your knowledge on the Aztec Empire with the Quiz feature - how much have you learned? But hurry: you must answer quickly as the quiz is timed! Why not take your exploration into the Aztec Empire a step further and link to Britannica’s online services – Britannica Kids Online or Britannica Online – to continue your discoveries.